Hangzhou, China, March 26, 2019 – Fliggy, the travel service platform of Alibaba Group, has launched its Fliggy Buy service, which offers overseas merchants a new solution to capture opportunities presented by the growing purchasing power of Chinese outbound travelers. “Fliggy is committed to making it easy to conduct travel business in the digital era. The launch of Fliggy Buy represents our latest move to work with merchants targeting the vast numbers of tourists from China to develop innovative solutions, and offer them targeted customer traffic. Our aim is also to embrace the potential of digital technology and provide a holistic travel experience encompassing food, accommodation, transportation, sightseeing, shopping and entertainment,” said Roman Zhu, Head of Fliggy Buy at Fliggy. “Duty-free and tax-free stores are our focus during the first phase of rollout, as they are the most visited shopping and consumption venues amongst Chinese outbound tourists. 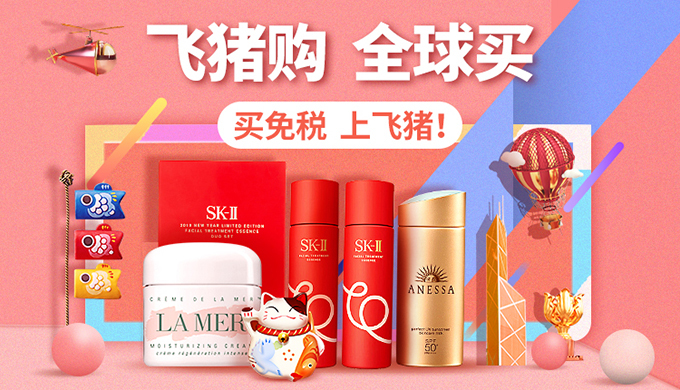 Our next step is to enrich the product categories on Fliggy Buy and recruit more overseas merchants to include high-end luxury brands, household electronics sellers, as well as pharmacy and cosmetics stores, assisting them to reach more Chinese consumers,” Zhu said. Fliggy (www.fliggy.com) is a leading online travel platform in China that provides comprehensive reservation services for airline tickets, accommodation, train tickets, car rental, package tour and destination attractions. Fliggy is dedicated to providing travelers with flexible and comfortable travel arrangements, while harnessing the power of the internet to empower merchants on its platform. Fliggy is a business of Alibaba Group.